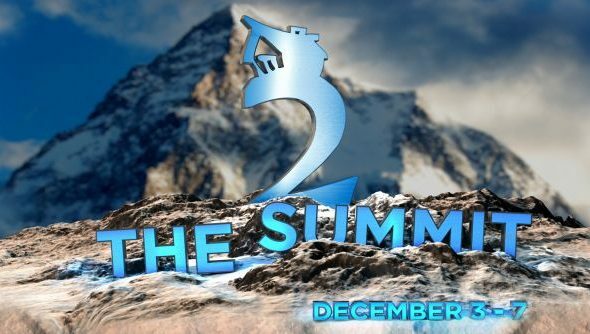 Casting studio Beyond The Summit have announced their second Dota 2 tournament: The Summit 2. They’ve got $100,000 up for grabs to the best teams around the world. Just like the Dota 2 International, players and spectators can purchase an in-game compendium item to help increase the prize pool, while also offering bonus in-game items and tournament statistics. If you’re looking for the next biggest tournament after The International, this is it. Beyond The Summit will team up with Starladder (and more) to provide coverage in over six different languages; the original event had over five million unique viewers from around the world. Last year’s champions, team Evil Geniuses, will be defending their title against other popular teams such as Na’Vi, Alliance and the winners of this year’s Dota 2 International, Newbee. There’s over $100,000 to kick things off provided by Beyond The Summit, G2A, Twitch and 100TB. This will undoubtedly increase over time as players and spectators purchase various in-game items to help further fund the tournament. The Compendium Bundle includes the compendium itself, as well as in-game tickets to watch the tournament via Dota TV. You’ll also get your hands on an adorable “Duskie the Husky” courier. Coupled with this is a new Dota 2 chest featuring cosmetics for your favourite heroes: Wraith King, Templar Assassin, Timbersaw, Vengeful Spirit, Phantom Assassin and Gyrocopter. Finally we have some stretch goals, teasing various rewards for increasing the prize pool past the initial $100,000. At $30,000 the infamous “Tub Interviews” will return: where BTS casters and players conduct an interview, naked, inside a cosy bath. Hitting another $100,000 will enable fans to vote in an all-star match. The final stretch goal is at a whopping $200,000 additional prize money, but reaching it will unlock a very sought after in-game mount for Luna: the Staglion. The tournament kicks off tomorrow with the America qualifiers, so head over here to find out the schedule.